The new FootJoy Lopro Casual golf shoes are designed with a softer, full grain waterproof leather upper for the perfect fit right out of the box The new spikeless sole design offers incredible walking comfort and a durable green friendly outsole. Footjoy Lopro Casual shoes have a 1-Year limited water proof warranty and include an additional tonal set of shoelaces. I wasn't a fan of the laces, so I replaced them with laces that match my outfit. I usually struggle with golf shoes being comfortable and sturdy. These are both. Bought two pair, buying another for back up. Narrow through instep. Hope to stretch them out. Extremely difficult to find size 12 in ladies golf shoes. Foot Joy makes the most comfortable shoes for golf. Love their Low Pro casual line. I am very happy with the Foot Joy Lopro Golf shoes. The Golfland website was easy to navigate, the shoes came promptly and the price was $20 less than any other vendor. 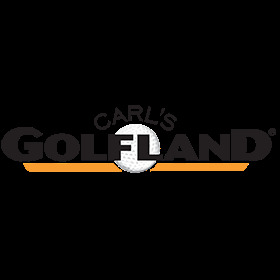 I will be doing business with Golfland again and I am sharing your website with my golfing friends!